OK I just bought these pancakes from the cafeteria at work because the network I work on is down so all my work that is dependent upon the network I cannot do. So these pancakes I believe were cooked in 150% gluten material or all the combined harnessed hatred of a maximum security prison – the bacon that accompanied these pancakes was less greasy. Luckily I had a Kit Kat bar to get the ‘taste’ of the pancakes out of my mouth. Now before you all judge me on my balanced breakfast (2 very heavy weird tasting pancakes, 3 strips of pig bacon, a normal size 4-bar Kit Kat bar and a 20 oz Sprite) – this was out of the norm for me. Normally I would not splurge on this outlay of food or pretense of food. My routine on Friday at work is to try and wrap up all the loose ends from the week and typically I would have maybe a granola breakfast bar and a Sprite or big mug of ice water. 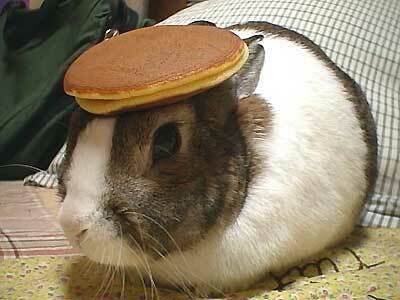 As I am typing this (8:32am on October 24th) it feels like the pancakes are fighting their way back up esophagus. This would be the point in the Tums commercial where the dude would hold his stomach and make a pained face while puffing out his cheeks. Moral of my story – make your own pancakes or buy them from a reputable source. Peace out and have a good day.